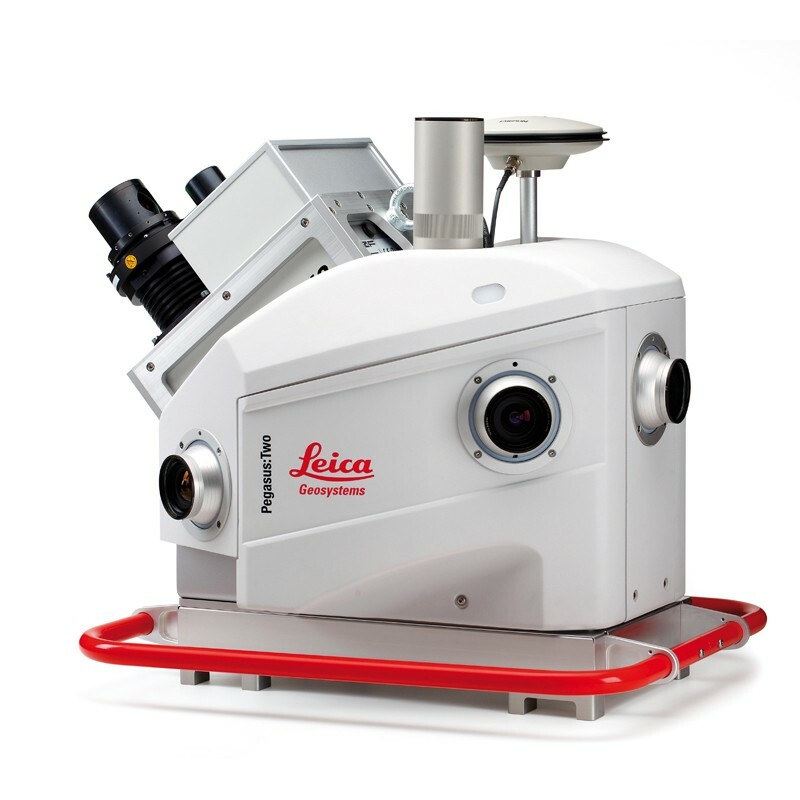 The Leica Pegasus:Two mobile mapping solution uses one or several laser scanners in combination with GNSS receivers, IMU and a DMI. Acquire accurate and precise spatial data with six to eight cameras on any vehicle. This innovative mobile sensor platform will not only capture point cloud and imaging data but also collects data from additional sensors. Sky or pavement assessment cameras, noise pollution sensors, air quality sensors or ground penetrating radar (GPR) for underground asset mapping all leverage the concept of a multiple sensor platform. This reality capture solution is completely vehicle-independent, making it a competent solution across multiple applications without limiting you to road and rail. You only need to capture the data once to generate multiple revenue streams for your business, whilst achieving survey-grade accuracy, keeping your employees safe and decreasing your time in the field. The Pegasus:Two captures the full 360° spherical view imaging and LiDAR together, meaning you will never forget an object and have to return to a project site. Pegasus:MapFactory for AutoCAD or ArcGIS software suite is the complete solution for the Pegasus:Two mobile sensor platform, covering the end to end workflow – from data collection to feature extraction. The intuitive user interface combined with the semi-automated feature extractions allows you to obtain your project deliverables fast. Whilst Pegasus:MapFactory will assist you for small to medium and manual to semi-automated projects, Leica SiRoad and Leica SiRail are powerful software suites that offer fully automated workflows for large or state-wide mobile mapping projects.